Google AdSense is the advertising program from Google and is the best opportunity for webmasters and bloggers to monetize their online content. Google AdSense offers a few different types of Ads and the most commonly used one is the AdSense for Content. Update on Aug 22, 2016: Google has removed the limits on the number of ad units that can be used per page. Read the updated policies on AdSense ad limits per page. AdSense for Content is the advertising program which allow web publishers to display relevant ads in their online content. There are ad units available in different sizes and in text/image/rich media format. Publishers can place such ad units in the content and Google will display relevant Ads based on the content where it is displayed. Typically, Google allows up to 3 AdSense for Content ad units per page. This is to make sure the quality of the AdSense network is not affected and to avoid publishers displaying too many ad units in page making it difficult for users to find the content in the pages filled with Ads. However, there may be genuine cases where you want more than 3 AdSense ad units to be displayed in a page. For example, consider your website have several high quality articles with huge size. In case of long articles, you could display more than 3 ad units per page without affecting the user experience. However, in normal cases, Google does not allow more than 3 ad units no matter how big the article is. How to display more than 3 AdSense Ad units per page? If you put more than 3 ad units per page, Google will automatically hide the excess ad units. In the olden days, some webmasters used to play various tricks like IFrames to display more than 3 ad units per page. However, Google is very strict on enforcing its rules and any policy violation could lead to permanently removing from Google AdSense program. Here are few legal ways you can potentially display more than 3 AdSense for Content Ads per page. 1. Become a premium AdSense publisher. Premium AdSense publishers have many extra privileges, which include displaying more 3 ad units per page and using custom ad sizes. However, to become a premium publisher, you need millions of page views per day. There is no formal application process to become a premium AdSense publisher. In most cases, the deserving publishers will be invited to the premium publisher program. DoubleClick For Publishers is an ad serving platform from Google that allows you to manage Ads in your website. Using DFP, you can generate ad script and place in your website. Then, you can create multiple creatives and rotate ads in those slots based on the ad inventory you sell to different advertisers. DFP provides a feature to monetize your unsold inventory. For example, consider you have a DFP ad unit for 300x250 size. You can sell this slot to multiple advertisers and rotate Ads from different companies. What will happen if no advertiser is interested in that ad slot during a specific period? No ads will be served and you will lose the revenue. Google has a solution to this problem. You can choose certain settings in DFP which allow you to display Google AdSense as a backup for other ads. You can set the pricing for each ad you sell to your customers. Those ads will compete with AdSense Ads and DFP platform will serve the highest priced Ads. If the AdSense Ads are better performing than the DFP customer Ads, then AdSense Ads will be served through the DFP ad slot. When AdSense Ads are served through DFP, they are not counted against your maximum 3 ad units limit. If you are using DFP to display Ads, you should always have Ads targeted to display in those ad slots. If there are no Ads targeted at any given point of time, DFP will display AdSense Ads, but it will be a violation of policies to show AdSense in such a manner it exceed the maximum 3 ad limit. So, if you are using DFP to display Ads, make sure you always have third party Ads to compete with the default AdSense Ads served by DFP. Consider you have 3 AdSense for Content Ads placed in a web page and you have 2 DFP ad slots in the same page. This makes it a total of 5 ad units. The 3 AdSense units will always serve AdSense Ads. The 2 DFP slots could serve its own ads or AdSense Ads depending on the performance factors. It is possible that at some point of time, you would have AdSense Ads served in all the slots, exceeding the maximum 3 AdSense for Content limits. This is legal and is approved by Google, as long as you have competing non-AdSense Ads in your DFP ad units. The bottom line is, you can have more than 3 AdSense for Content ads displayed in a page if the excess ad units are displayed through Doubleclick For Publishers and have other ads rotated through DFP in each slot. Update on 10 Dec 2013: I no longer see the above policy in the DFP/AdSense program policies. This means, Google may have changed their policies. Many people have asked about it in the Google official forums but there is no official response from Google. So, this option may no longer be valid to show more than 3 AdSense ad units. There are certain third party Ads that use DoubleClick Ad Manager to serve Ads. For example, consider Techulator.com. We use a third party ad network called LakeQuincy, which uses DoubleClick For Publishers to serve Ads. 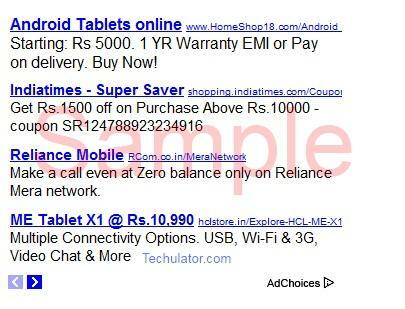 They have enabled AdSense as alternative Ads in DoubleClick. This means, when the DoubleClick determine that AdSense Ads are more valuable in the specific placement, it will show AdSense Ads. Many times, you can see AdSense For Content Ads served in more than 3 ad slots in this site. BuySellAds Unreserved is another Ad network that allow you to use AdSense Ads as a backup without worrying about the maximum limits per page. Do you know any other ways to show more than 3 AdSense For content ad units per page? Let me know and I will update this article. Thanks for your valuable information. I have a doubt about adsense. I am a blogger and I have a adsense hosted account. Can I place link units on my blog ? Does links units option exist for hosted accounts? I am asking because I am unable to find link units option in my adsense account.My blog is http://coding-issues.blogspot.in. I have blog on blogger and adsense account as well. I have tried placing ad 4 units but due to limitations only three ads show up, however recently I have tried placing ad in the post code thinking it will show only best three. But I can see 4 ads on that page. I am not DFP subscriber nor premium publisher. Can you suggest, should I continue placing such ads or remove it. You cannot place more than 3 ad units unless you qualify for extra units with special permission from Google. In normal cases, you will have to use DFP to show more than 3 units. Please go through the points mentioned in the above article. Well, I can add 5 or more ad units with a normal AdSense account. The secret is to use 3 normal AdSense units together with any number of the new adaptive ad units. I am still not sure if it's legal, theoretically, I always get 3 image ad units, the rest are text.